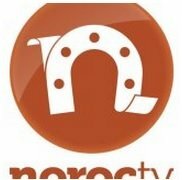 Music TV Channel / Noroc TV is a Moldavian television station that broadcasts especially music. It is the television version of the popular radio station Radio Noroc. Noroc TV is broadcasting on most of the cable networks of Moldova and is broadcasting digitally in DVB-T on channel 51.